Hydraulic fracturing (fracking) operations in the oil-rich Permian Basin have already taken off, leading experts to forecast that the area’s output by 2023 will be double what it was in 2017. This means that fracking investment continues to rise, especially in the materials that are pivotal parts of the process, namely, frac sand. What’s Happening to the Market for Frac Sand? As more oil and gas companies expand their operations in the Permian Basin, located mostly in West Texas and New Mexico, and the Eagle Ford Shale in Southern Texas, the demand for frac sand continues to increase. Frac sand is a specialized proppant — a component that holds open fractures made in the shale layers of the earth so hydrocarbons can be extracted — and companies rely on this sand to make fracking efforts as effective as possible. Each shale gas well uses an average of 5 million pounds of frac sand and oil wells can use much more. A typical horizontal Wolfcamp well in the Permian Basin averages around 13 million pounds per well. The picture of frac sand’s skyrocketing demand can be painted best by market forecasts: a report about fracturing in the Permian Basin by global analysis firm IHS Market predicts that frac sand’s market value, which is currently at about $4 billion, will increase a full 50 percent to $6 billion by 2023. This comes following an enormous increase in value between 2016 and 2018, seeing a jump from about $1.3 billion to the current level. While these numbers certainly are dramatic, this continued increase in demand for frac sand shouldn’t come as a surprise to anyone keeping an eye on fracking operations in the Permian and Eagle Ford plays. As of July 2018, operations at these two locations have outpaced other domestic shale plays, and it’s not particularly close. 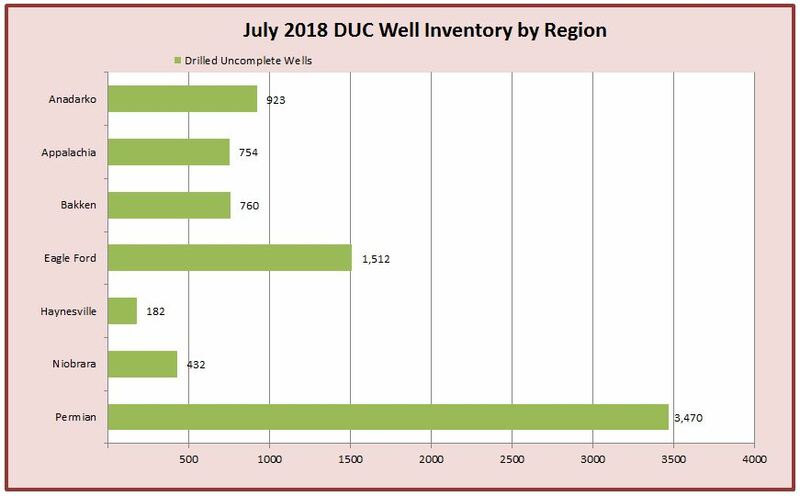 According to the U.S. Energy Information Administration (EIA), there were 3,470 drilled but uncompleted (DUCs) wells in the Permian Basin and 1,512 in Eagle Ford, compared to the next highest: the Anadarko shale reserves located primarily in Oklahoma had 923 DUCs at the same point. 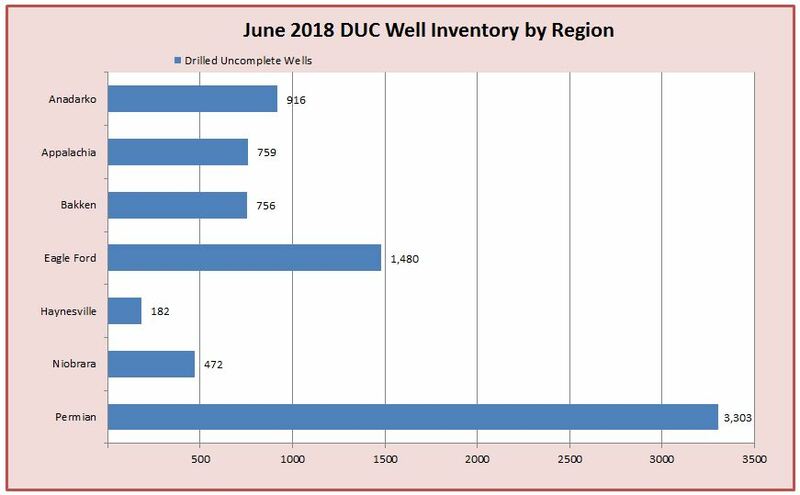 The current DUC well inventory in the Permian Basin alone would require an estimated 45 billion pounds of frac sand. These numbers are increasing month-over-month. The EIA also reports that the Permian Basin had a 167 well increase from June to July 2018, and Eagle Ford saw 32 new wells in the same period. How Is Black Mountain Sand Responding? With demand increasing constantly, there are new opportunities for frac sand producers to grow their market shares. That’s why Black Mountain Sand is undergoing strategic growth to keep pace with demand in fracking operations while at the same time not oversaturating the in-basin frac sand market. Black Mountain currently has three facilities in the Permian Basin, capable of producing 13 million tons of sand per year. Black Mountain Sand also has new sand mining and production facilities opening in the Eagle Ford Shale and Mid-Continent region, home to the oil-rich SCOOP/STACK plays in Western Oklahoma’s Anadarko Basin. Fracking has outpaced traditional extraction methods and is dominating oil and gas operations in the United States, and this upward trajectory shows no signs of slowing down, which means the demand for frac sand should continue to increase for the foreseeable future.